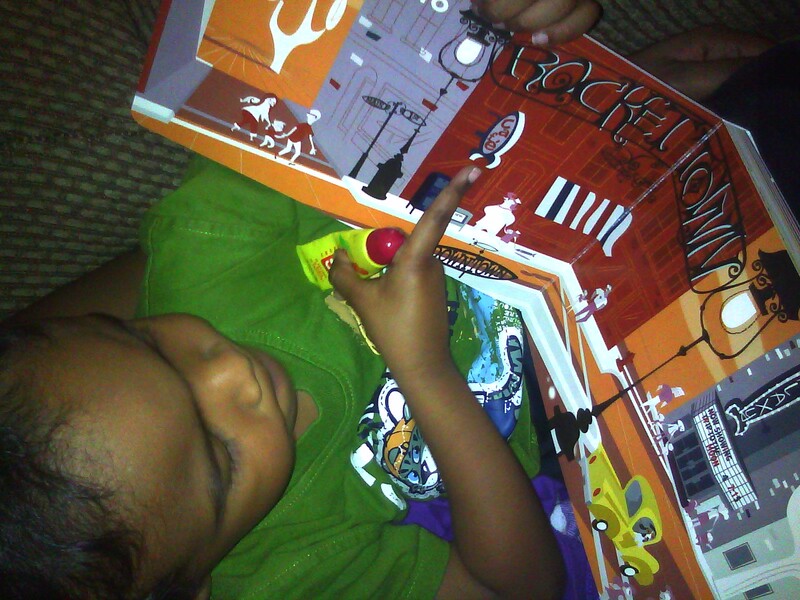 We received the cutest new book for William called Rocket Town by Bob Logan. I took the book out of the package and handed it to him and he immediately said "rocket ship!" Look at that big grin! Lately William has shown a big interest in rockets so I knew this book would be right up his alley. 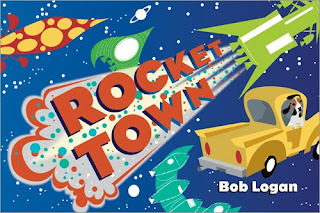 Rocket Town is a very cute board book that shows the adventures of an astronaut and his dog as they travel through where else~ Rocket Town! They encounter all kinds of rockets: a shark rocket, hot air balloon rocket and even a school bus rocket~ this totally fits in with a little one's imagination. There is a countdown at the end that is a big hit with William and he wants you to go back to it over and over again. It's a simple book great illustration. William really loves pointing out all of his favorite rockets. I think this book is ideal for a little boy and makes a great gift for any occasion. 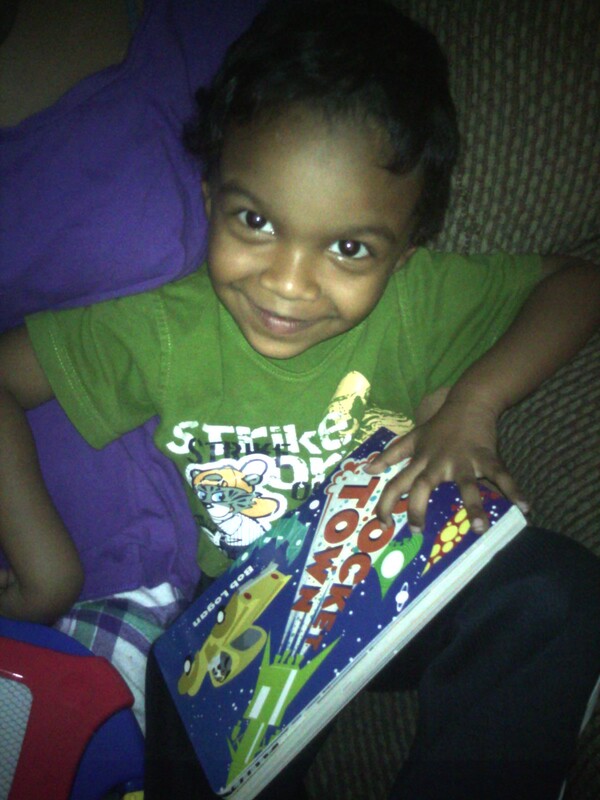 I still prefer board books at this age since boys tend to be a little destructive! You can purchase a copy of Rocket Town here. A little about the Author and illustrator: Bob Logan has worked as a story artist on feature animations such as Madagascar and Open Season, as well as Cloudy with a Chance of Meatballs and is currently working on the upcoming Puss in Boots! Logan’s picture book, The Sea of Bath, charmed readers with fun and sweet illustrations, and Rocket Town will delight parents and children alike with colorful and imaginative rockets. I received a book to review and no other compensation was received. All opinions are 100% mine as always!